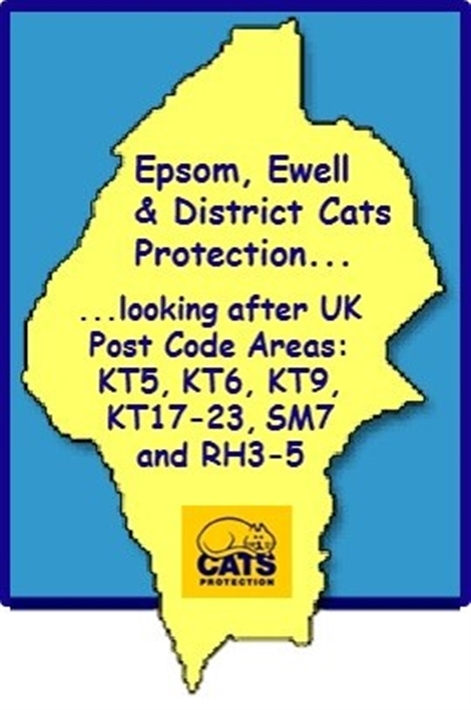 This is the official website for the Epsom, Ewell & District branch of UK Cats Protection, homing and caring for cats and kittens in the UK Postcode areas KT5, KT6, KT9, KT17-23, SM7 and RH3-5. We are small group of volunteers working to rescue and re-home stray and unwanted cats and kittens. All our cats are looked after by dedicated fosterers from their own homes. We are always looking for new volunteers, so if you would like to join our team of committed cat lovers please contact our Volunteering Coordinator whose phone number can be found on the Contact Us page of this site. For the children, why not let them spend some time exploring the exciting Cat Protection web site specifically designed for kids. Full of games and lots of interesting things to look at and do... heaps of fun and entertainment to keep them occupied while they learn about cats. Rainy school holdidays will never be a problem again.